When you're running a solo business, the more you can get done in any given day, the more you can earn. Everything else being equal, of course. But who wants to crank out work hour after hour, day after day? I don't know about you, but part of the reason I left the corporate world was so I could have a life - and so I could have the freedom and flexibility to work when I wanted. Not when my boss said I had to. At the same time, you can't deny that getting more done in less time can be a real game-changer. In fact, it can actually give you the freedom and flexibility you want in the first place ... without necessarily impacting your income! But how do you get there? How do you free up more time and STILL get your work done? "If something will take less than five minutes, do it now," says Tina Forsyth, founder of OnlineBusinessManager.com. "It's amazing how the little things can pile up, and at the end of the day we are looking at a long list of to-dos that can seem overwhelming." One of Tina's favorite tips is to do the small things as they arise - things that keep her to-do list shorter and gives her a sense of completion throughout the day. "I did just that when Ed asked me for this tip," she explains. "I read the email and five minutes later it was sent. Done!" 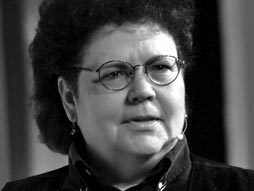 "The worst thing you do when you wake up each morning is to eat a live 'alien,'" explains Becky Blanton, freelance ghostwriter, author of The October Abduction of Thomas Martin series and TED Global speaker 2009. "Renowned motivational speaker Brian Tracy says something similar: 'eat the frog.' But whether it's an alien, a zombie or a frog, the first thing you should do each day should be the hardest task you have to do all day. "Do the thing you're dreading most before you check email or anything else. After you eat the alien, the rest of the day is a piece of chocolate cake. No wait, it's like chocolate cake with coconut sprinkles. "Try it for 30 days and see if your productivity doesn't soar. Find some way to make it obvious, but fun. I write down my alien on a small white board the night before. It's propped up by my computer waiting for me when I land in the office. "If you're Sigourney Weaver (a.k.a. Ellen Ripley) and can kick three or four alien butts a day, go for it. But 'eat' at least one every day!" "Here's a tip my friend and marketing great, Dean Jackson, taught me," says Steve Slaunwhite, author of co-author of The Wealthy Freelancer and author of The Complete Idiot's Guide to Starting a Web-Based Business. "It's called the 50-minute focus. Basically, you set a timer for 50 minutes and then work on your project. During those minutes you don't answer the phone, check email or do anything else that's distracting. You totally focus. "When the timer goes off, you pull yourself away from the project and take a 20-minute break. This technique works well because you get absorbed in the project and make a lot of progress. It's also a great motivator because, if you don't feel like working you can say, 'Heck, I'll just do a 50-minute focus and then see how I feel.'" Lexi Rodrigo, freelance writer and editor of The Savvy Freelancer has a similar strategy. "I give myself up to 45 minutes to work on one and only one task. When that time is done, I stop for 5 to 10 minutes. I get up to get a glass of water. I do some stretches or sneak in a few reps with my dumbbells. Or I stand on my deck and breathe in some fresh air." If Lexi's task isn't completed in the 45 minutes she budgeted, then she simply sets her timer again for another 45 minutes - or until she's done or just chooses to move on to a different task. Like Steve, Lexi eliminates all distractions during these focused sessions. That includes putting her phone on silent mode; turning off email, IM and social networking notifications; and closing all other applications she won't be using for the task. "I'm convinced working on the web has caused me to have attention deficit disorder," she says. "It's so easy to switch from one thing to another and never get anything done! This approach, however, allows me to stay productive. It's like interval training for your mind!" Freelance writer Thursday Bram also uses a timer. But rather than using it to time long focused sessions, she uses it to kickstart an activity or project. "I've had projects that were like pulling teeth to get started," she says. "Just getting myself to sit down and get to work felt impossible. A simple egg timer and the philosophy that I can do anything for fifteen minutes has saved me more than once. "I'll set a timer for fifteen minutes and focus on a particular task. I've sat and stared at the keyboard for a while, but at some point I'll see something that I can get done. By the time that timer goes off, I'm usually on enough of a roll to keep going." James Clear, founder of Passive Panda, suggests focusing on your most important tasks first, before even thinking about checking email or social media. "If you're checking email before doing these three things, then you need to make a shift." "I get the most out of my day when I schedule each activity or task based on when I will have the right type of energy for each of them," says Charlie Gilkey, founder and editor of the Productive Flourishing blog. "For me, that means doing most of my creative work in the morning and focusing on social activities in the afternoon. If I don't do the creative heavy lifting in the morning, the reality is that it's not going to get done. It also makes sure that I put some edges in my day. Those edges keep me real about what I'll be able to do rather than thinking that time is flat and I have 'all day' to get something done. Charlie admits that this idea is simple and obvious, but the execution is a little more challenging. He says, "As with most other habits, it takes daily practice to enforce it, but it's worth the practice." Voice-over pro Paul Strikwerda agrees with Charlie's approach - and he even suggests developing a daily routine that allows you to consistently do your best work. "Knowing at what time I'm at my best helps me make the most of my day," he says. "I'm a morning person. That's when I do my creative writing. I usually start working at 6:00 AM because ideas flow easily when I'm undisturbed and fresh. From there I move on to answering emails and checking social media. This gives my voice time to warm up for my main activity: voice-over narration." Strikwerda explains that voice-overs pros are like professional singers. Clients expect them to deliver a consistent sound, so they need to protect and preserve their instrument. "Without a proper warm-up, I wouldn't sound the same and I can't be as productive. After about two hours of recording, my vocal cords must take a break. That's when I start editing my audio," he says. "If I don't follow this pattern, I almost always pay the price." There must be something to this "daily routine" thing, because most pros I know rave about it. And for Dianna Huff, editor of The Profitable Female Consultant blog, your nighttime routine is just as important as your daytime habits. Dianna suggests going to bed and getting up at the same time every day as a way to boost your work performance and productivity. "Before I instituted this practice, I would get into my office between 7:30 AM and 9:00 AM -- depending on how late I stayed up the night before working," she says. "I'm now in bed by 9:00 PM and up at 4:00 AM so that I can start work at 7:00. "Since starting this practice, I'm getting more done because I'm focused and have more energy. I've also been able to cut back on the number of hours I work in the evenings." Productivity expert Jason Womack asks, "Have you ever found yourself reading a book, and as you get to the bottom of a page you realize you don't know what you just read? Jason suggests that we lose focus when our energy is low. And if we have no focus and low energy, that's an indicator that it is time to pause. "The 'stop' doesn't have to be permanent," he says. "If you find you're wasting time and can't seem to get engaged in something, walk away from that task for 10 to 60 minutes. Get a drink of water, walk around the block, watch a couple of YouTube videos (it helps to set a timer for this 'break'). When you come back, you might be more focused, work faster and get the task done in less time." "All the lists, apps and inbox systems in the world can't help me when my brain isn't in the right 'place' to get work done," says freelance graphic designer and editor of Rockable Press, Amanda Hackwith. "My best productivity hack has been to create a habit or action that signals to my brain that it's time to work," says Hackwith. "It sounds cheesy, but it works. In my case, I have a pair of bulky, monstrous headphones that look like a throwback from the 80's, and when I put them on the rest of the world becomes pretty muted. "I got in the habit of chucking on the headset whenever I needed to shut out distractions. At first, it was a purely utilitarian way to diminish background noise, but after years of using them, I've discovered slipping on those chunky headphones (music optional) is a good way to make my distracted brain knuckle down. Having an ingrained habit to do at the start and end of each work session has rescued many projects from distraction." Schedule your day, hour by hour, before you start. As simple as it sounds, this tip alone increased my daily productivity by 10 or 20 percent the moment I made it a habit. Now, I realize that some people don't like the rigidity of scheduling their day. They want to go with the flow and don't want to feel constrained. However, scheduling your day also doesn't mean that you'll have zero flexibility. You can (and should) schedule free time, gym time or going-for-a-hike time. You should also build some flexibility for unexpected items or for tasks that may run over their allotted time. Scheduling your day also doesn't mean working longer hours. If you only work five hours a day, you schedule that. If you work eight hours, you schedule your eight hours. The point of this exercise is that it enables you to make better decisions about how you'll spend your day when your mind is clear and focused on what's truly important. In other words, before all the daily temptations (social media, email, TV, YouTube, shopping, etc.) test your resolve. My daily schedule keeps me accountable. It's a set of hour-by-hour instructions from the "sane" me, telling me what's important and what I need to do to stay on track. What about you? How do you stay productive? What works for YOU? Let us know in the comments area below.